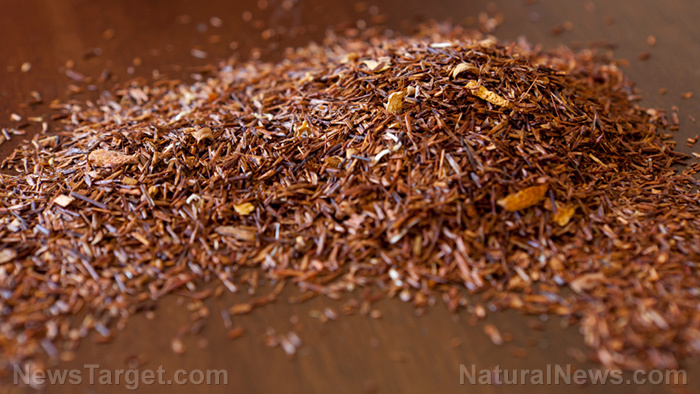 Aspalatahin is a flavonoid most well-known for being the primary flavonoid of rooibos tea. Also known as red tea, rooibos tea is actually a tisane or an herbal tea made from the needle-shaped leaves of the rooibos (Aspalathus linearis) plant. Rooibos is the only known source of aspalathin, making both the plant and the flavonoid truly unique. Aspalathin itself has no known side effects, although rooibos tea certainly does. 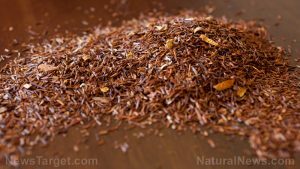 The estrogenic activities of rooibos tea can be detrimental to those who have hormone-sensitive health conditions, as well as kidney or liver disease. The most noteworthy benefit of aspalathin is that it can reduce the risk of developing type-2 diabetes. This antioxidant accomplishes this through numerous methods: frequent intake of aspalathin reduces excessive fat production, increases muscular glucose absorption and the amount of insulin secreted by the pancreas, helps balance blood sugar, and improves insulin resistance. Together, all of these effects make the body less susceptible to type-2 diabetes. In addition, these benefits can be useful for patients who already have the disease. Aspalathin prevents sudden drops and spikes in blood sugar that would be dangerous to diabetic patients. Aspalathin is noted for having anti-mutagenic qualities too, meaning that it can prevent certain cancers. Aspalathin works together with the other flavonoid nothofagin to protect the nervous system. This in turn makes aspalathin a purportedly good preventive measure against Alzheimer’s disease. One other way aspalathin aids the body is by decreasing the production of certain adrenal hormones. This leads to reduced levels of stress and greater feelings of relief and calm. Since rooibos tea is naturally free of caffeine, the soothing effects of aspalathin are enhanced. Moreover, a study discovered that aspalathin is absorbed by the body, as evidenced by the presence of this antioxidant in urine. Because of this, aspalathin’s benefits can easily be enjoyed without the need to increase its bioavailability. Since aspalathin is a flavonoid, it has antioxidant effects that can protect the body from diseases. Antioxidants are most known for eliminating harmful free radicals and preventing them from damaging cells, and aspalathin is no different. Moreover, aspalathin has anti-inflammatory properties that greatly benefit the body overall, and make aspalathin one of the best nutrients to take in for a healthy and well-functioning immune system. Aspalathin is a unique flavonoid that can be obtained solely from rooibos tea. It’s most widely known for its potential to prevent type-2 diabetes, reduce the risk of Alzheimer’s disease, and alleviate feelings of stress. It can benefit the body as a whole, especially the immune system. Though it remains to be seen if aspalathin itself has any harmful effects when consumed in excess, rooibos tea is not recommended for individuals with hormone-sensitive diseases.